Limpopo is generally associated with game ranching, beef, maize, sorghum and sunflowers, yet this province is eminently suited to berry growing, as Blueberry Heights shows. Lindsey Sanderson visited the farm. 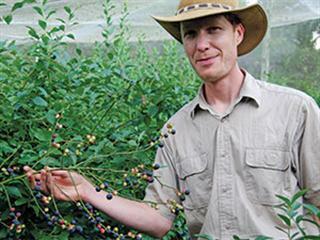 Jonathan Trusler, manager of Blueberry Heights Farm, displays blueberries in the orchard. The north-eastern escarpment, with its cold winters, warm summers and high rainfall, is ideal for blueberry, raspberry and blackberry crops. The success of Blueberry Heights, an organic blueberry farm with nearly 4ha under blueberries and an increasing annual harvest, is a prime example of this. The farm is situated 8km from Haenertsburg and 32km west of Tzaneen, 4km down the Magoebaskloof Pass to the Lowveld. Before the blueberries were introduced, the farm was grassland and indigenous bush and was used for grazing cattle. Blueberry Heights manager Jonathan Trusler is enthusiastic about the success of the blueberries, which were first planted in 1995 by then owner Louis Gillet. 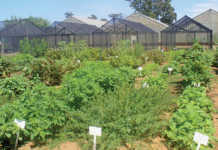 US stock was propagated in a Pretoria laboratory and transported to the farm in seed trays. There was enough stock for 1,4ha. The Gilletts planted about 3 300 Climax and Tifblue, varieties of Rabbiteye blueberries. The original orchard was planted in three rows: two rows of Tifblue separated by a row of Climax to allow for cross-pollination.In 2004, a new 2,3ha block was planted. This consisted of seven new cultivars imported from the USA – Misty, Sharp Blue, Elliot, Chandler, Berkley, Brigitta and Bluecrop. These were selected for their prolific bearing potential and included the early ripening Sharp Blue and the late ripening Elliot varieties for an extended harvesting season from November until mid-March. The berries are grown in an area where they receive full sun. Spaced 2m apart in the row with an inter-row distance of 2,4m to 3m, the plants reach maturity at about five years. Selective pruning is essential in the first few years to prevent heavy cropping before maturity, as this would stunt the growth of the bushes. Two blueberry types, Highbush and Rabbiteye, are grown commercially worldwide. Rabbiteye (Tifblue and Climax) are vigorous and grow to about 3m. 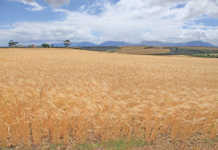 This heterozygous variety is suitable for most areas in South Africa. 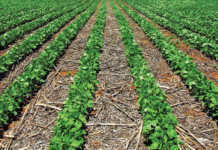 In contrast, Northern Highbush varieties such as Elliott, Bluecrop, Brigitta, Berkley and Chandler are only suitable for colder areas due to their chilling requirement (more than 700 hours below 7°C) to break dormancy. Jonathan planted several Northern Highbush varieties at Blueberry Heights, but says that he will probably uproot them as the area’s climate lacks the minimum number of cold units they need to do well. Since their establishment, the orchards have been maintained on organic production principles. Using only approved organic products, the farm has complied with all the requirements for EcoCert SA certification since 2002. 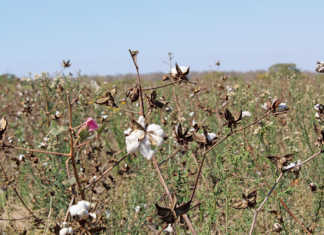 Blueberry Heights (Pty) Ltd, a subsidiary of Mockford Farms (Pty) Ltd, bought the 37ha farm in 2009. In the 2013 season, the two orchards yielded a total of more than 16t of berries. Water is sprayed onto the compost rows, which are 2m wide and 1,5m high. Compost is turned when it reaches a temperature of 60°C after about four weeks. The farm makes between 60m³ and 80m³ of compost a year, applying it in July and August and working it into the soil with a sawdust mulch. Fallen leaves are gathered for composting in June and July and new compost stacks are built approximately once a month. Compost is worked into the soil at a depth of about 4cm in early winter and in summer. “We run a vermiculture operation, using organically certified cow manure,” says Jonathan. The wormery is currently housed in a 15m² open shed. Worms rotate in a cycle through the manure, leaving behind castings which are collected and spread around the bushes at a rate of 100g per bush. Jonathan estimates that the farm produces a ton of castings a year. As the farm is situated in a high-rainfall area (1 250mm/year) in the mist belt, the irrigation requirement is minimal. A microjet irrigation system irrigates and fertigates berries with approved liquid organic fertiliser. “A huge benefit for us is the acidic soil due to the pine plantations in the area,” says Jonathan. “Blueberries thrive in an acid soil with a pH of between 4,0 and 5,2. Between April and late October, the 17% shade cloth netting protecting the orchards is raised to allow bees and other insects to pollinate the flowers. As soon as the fruit starts ripening, the netting is dropped to protect the fruit from birds, monkeys and other wildlife. Hand weeding between March and April and pruning in May yields a mass of plant material to be collected, chipped and used for compost. Soil, leaf and compost samples are submitted for analysis and the results form the basis of a fertilisation plan developed by a horticulturist. In August, Jonathan and his team assess bushes for winter damage and carry out a second pruning. They then weed the orchards in preparation for spring growth, and apply pine bark and pine needle mulch to inhibit weeds and keep the soil at the stems of the bushes moist. Soil moisture content is monitored and corrected where necessary, and beehives are introduced to assist pollination. Packhouse materials and procedures are inspected and all necessary maintenance conducted. Seasonal workers are enrolled for the upcoming harvest. In October, Jonathan completes preparations for harvesting, and finalises marketing agreements. He arranges for packaging and detergents to be bought and checked, and staff members to be trained for the orchard and packhouse, as well as taught safety and hygiene measures. Water samples are analysed by test laboratory Swift Silliker Microbiological once a year. An internal audit is undertaken and refrigeration and scales are checked and certified as accurate. Nets are repaired and closed as needed. Hand weeding takes place up to one metre beyond the orchard. Beyond that, grass and weeds are machine-mown. The cut material is not removed as it prevents soil erosion. Slashed weeds and mown grass is added to the composting windrows. Replacement blueberry bushes are propagated in a small nursery section. Depending on the variety, blueberries are picked from October to early March. The picked ripe berries are put into 1 kg buckets and taken to the packing shed. The variety is listed and the buckets are weighed and checked against the picker’s name. The berries are then chilled to between 7°C and 8°C on trays in a chilling room before being sorted and graded. Prime berries are packed into 600g plastic punnets and placed on chiller trays (12 punnets per tray) in the chiller room at a temperature of 2°C, ready for marketing. A refrigerated truck delivers consignments two or three times a week to Gauteng and Cape Town. Undersized berries and berries with blemishes or cracks are set aside to be frozen for jam or pulping. Pick n Pay and EcoCert audits are carried out every year. Blueberry Heights employs seven permanent staff members and up to 40 seasonal workers during the picking and packing months. Farm and production manager John Ramohlola has worked on the farm since 1976. His son Charlie is the packhouse manager. Between 30 and 35 women work as berry pickers and ‘runners’, and up to eight are employed in the packing shed for sorting, weighing and packing. The operation maintains strict hygiene procedures and staff members wash their hands every time they enter or leave the work area. Buckets and lugs are washed daily. Further plans for Blueberry Heights include developing value-added products. Jonathan currently produces a range of branded blueberry cordials, jams and preserves, muffins and pies in a dedicated kitchen and work room. These products have proved very popular at local markets. At the annual Magoebaskloof and Haenertsburg Berry Festival in February, the farm opened its gates to visitors who picked their own berries. The event was a great success and Jonathan plans to extend the pick-your-own-berries concept during the entire harvest season. The ‘future plans’ list includes building chalets to accommodate visitors to this scenic area.